Image courtesy of Mrs Sakelaropoulos and many thanks to Norman for that update. 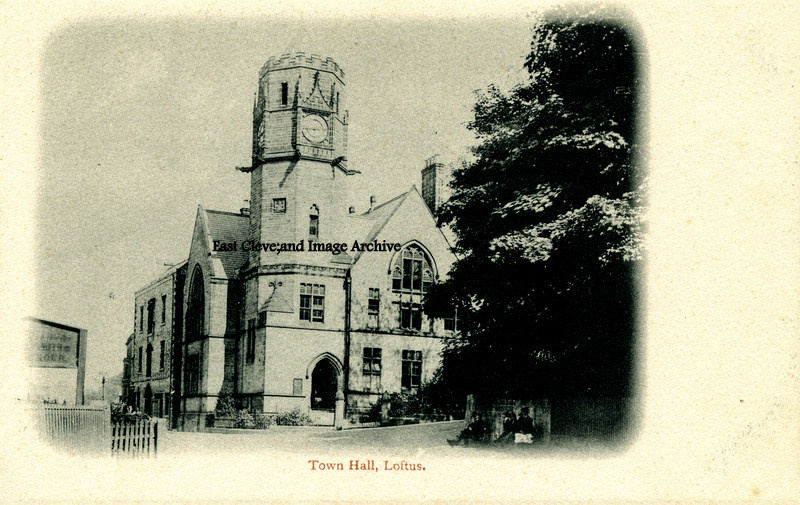 A further postcard image of the Town Hall, a welcoming sight to all travellers through Loftus. 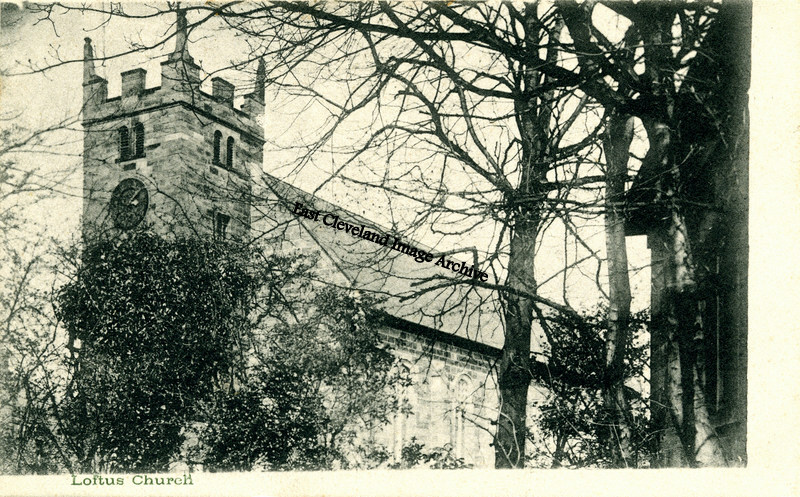 An unusual view of St Leonard’s church, this postcard image views the church through the trees. It gives a different perspective to the building. 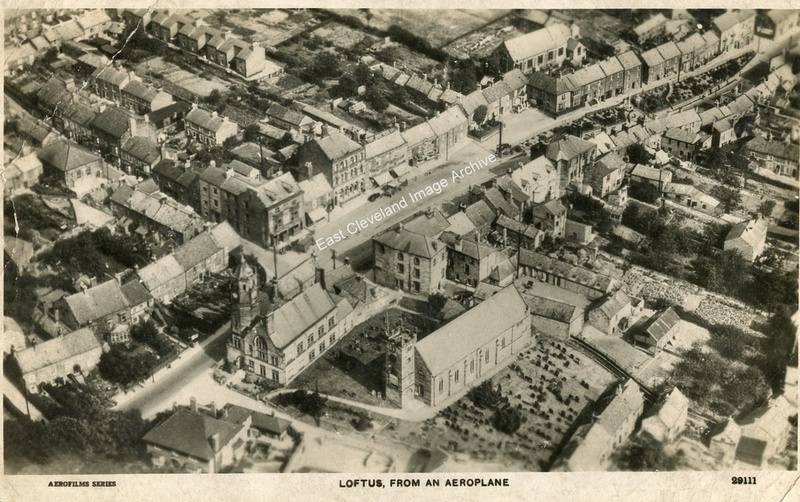 Another wonderful hand-tinted postcard view of the parish church for Loftus. 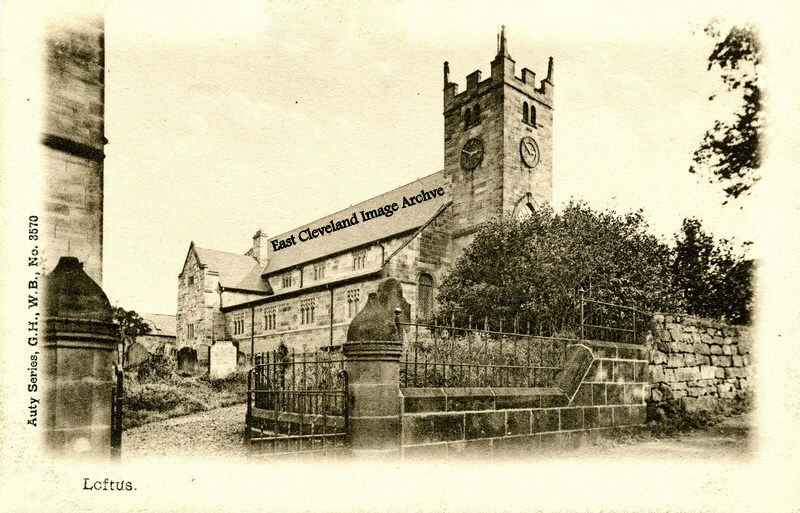 Dating from about 1900 it is a wonderful view and well worth repeating on site. 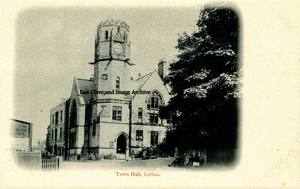 This Auty Series postcard dates from the early 1900s, in those days postcards being the primary means of communicating ensured a constant demand for images of people’s familiar home town views. This in the days before emails, texting or Twitter, how much quieter life must have been. 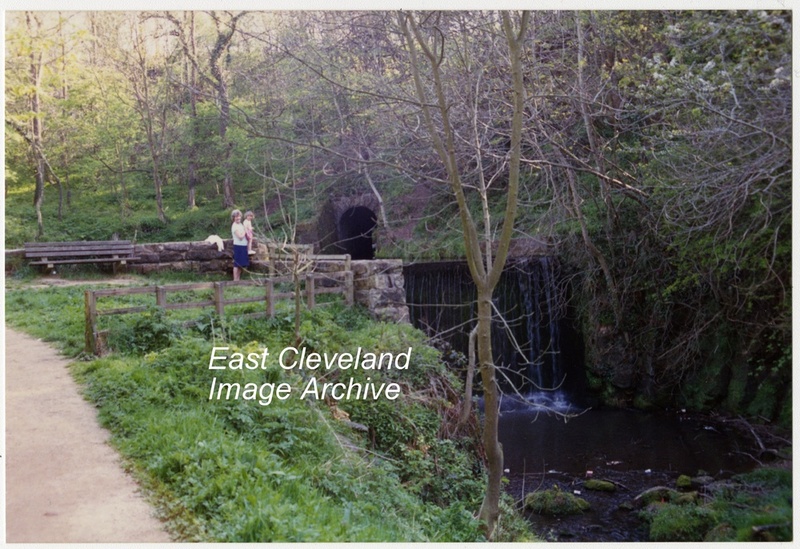 Now only a memory, The waterfall and upper pond at Loftus dam. Destroyed in the Floods which devastated Gaskell Ghyll and Loftus Mill and Bridge. Image courtesy of Eric Johnson. 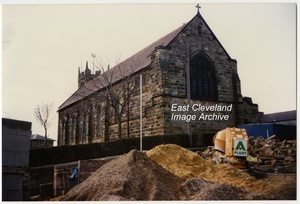 This full height aspect of the east end of St Leonards church, was only visible for a short period during the demolition of the Golden lion hotel stables, and the building of Lingberry Garth opened by Prince Charles on 30th march 1994. Image courtesy of Eric Johnson. Image courtesy of Carolyn Richards and many thanks to David Richardson for the dating update. 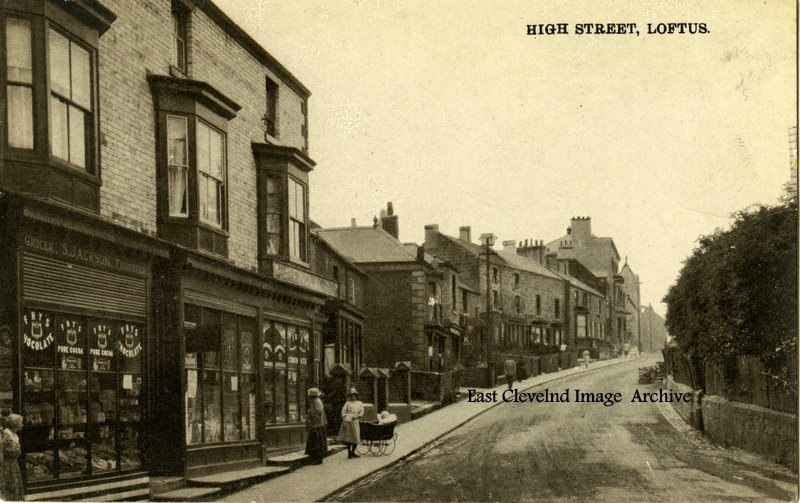 This view of the High Street, from the end of Arlington Street, shows two ladies viewing the shop window; whilst possibly preparing to push the pram up to the Market Place. 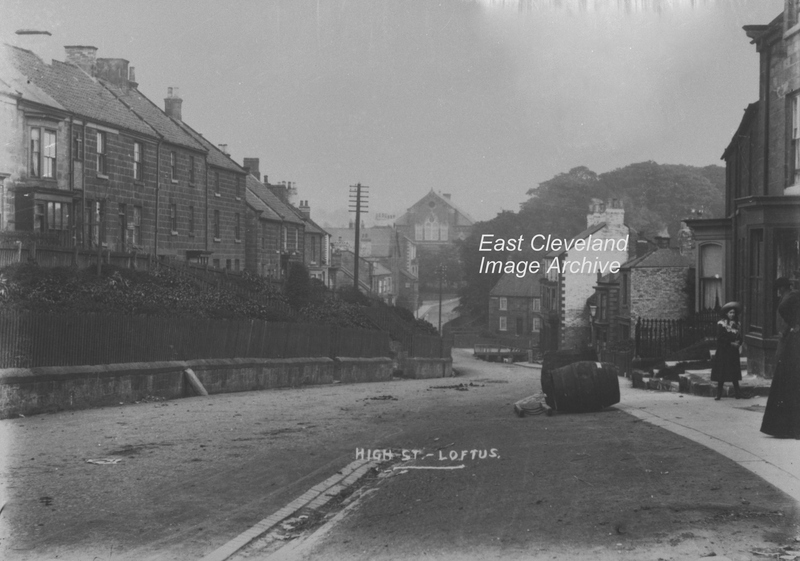 With the weight of prams in those days, a good push! 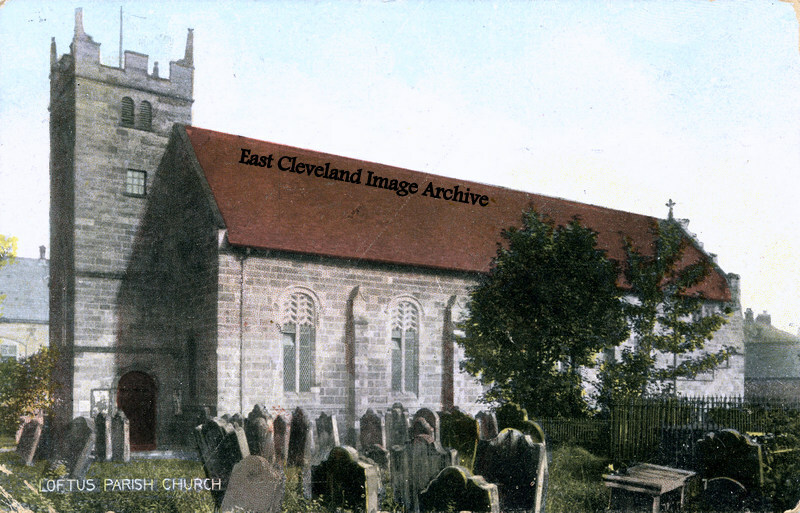 Image courtesy of Mary Bielby and Olive Bennett. 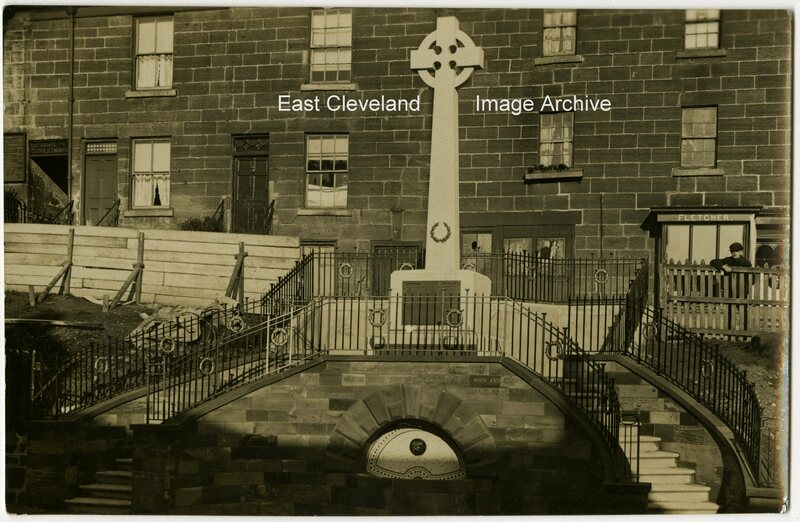 Loftus war Memorial, construction almost complete ready for dedication, some shuttering remains on the left behind which can be seen the entrance through the building to the Catholic church. Image courtesy of Olive Bennett.